This is an updated blog post. My original post for these “not quite lcms” was published on 27/02/2015. I’ve since done a facebook video for them as they are still a favourite. 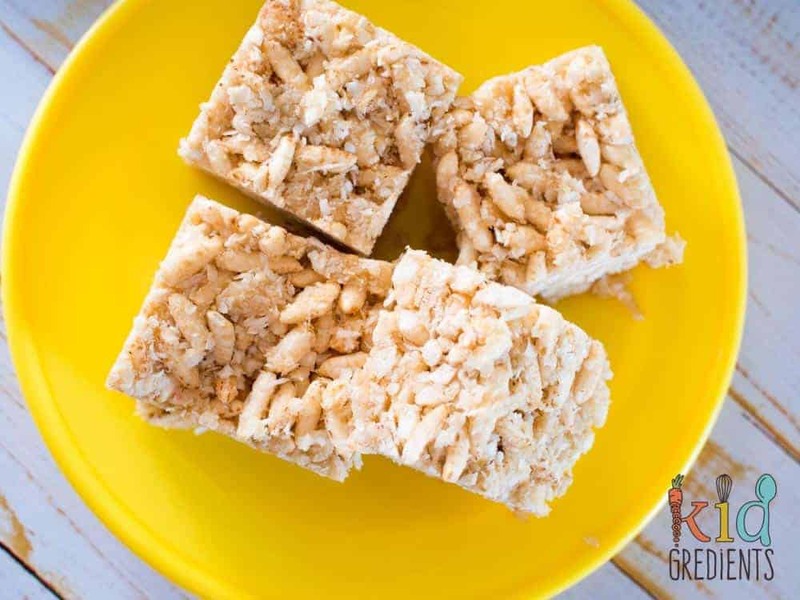 These puffed rice bars are super yummy as a snack or treat and great in the lunchbox. What are lcms? Well, that is what rice krispie or puffed rice bars are called downunder. A while ago my daughter (Miss 4) was given a sample of a rice bubble bar at Costco. It was yummy, she loved it and I bought a pack before really reading the packet properly. They were basically white puffed rice aka rice bubbles and sugar. I was a bit annoyed with myself for buying them. They became a constant treat and were desperately sought after. Then we ran out. These Not quite LCMs are a replacement for those! Miss 4 and I had a conversation in which she told me she’d like me to try and make some because apparently “you always make things taste nicer Mummy”. So here’s my attempt (and apparently they were the best ever). They still contain sweeteners, but that’s kind of essential, for gluing them together and also for taste. 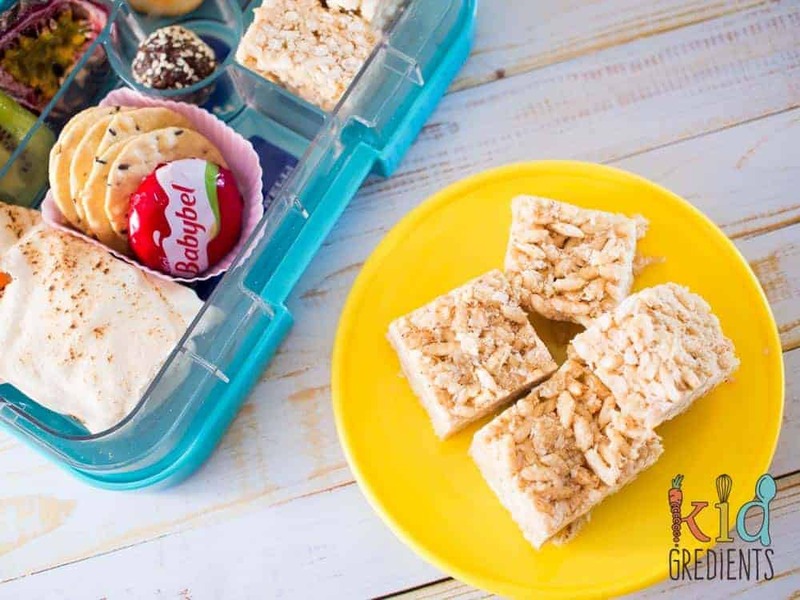 These are perfect in the lunchbox, freeze well and are dairy and gluten free. They are also independently taste tested by heaps of toddlers, kids, and adults are a hit! We cut these super small and one if normally enough in the lunchbox as they do contain a fair bit of sugar. The 22cm square wiltshire silicone baking dish used in this post makes 25! It’s hard to stop at one! Perfect for parties as well, these are the ultimate make in advance treat. You can either store them in the fridge for grab and eat immediately, or the freezer. 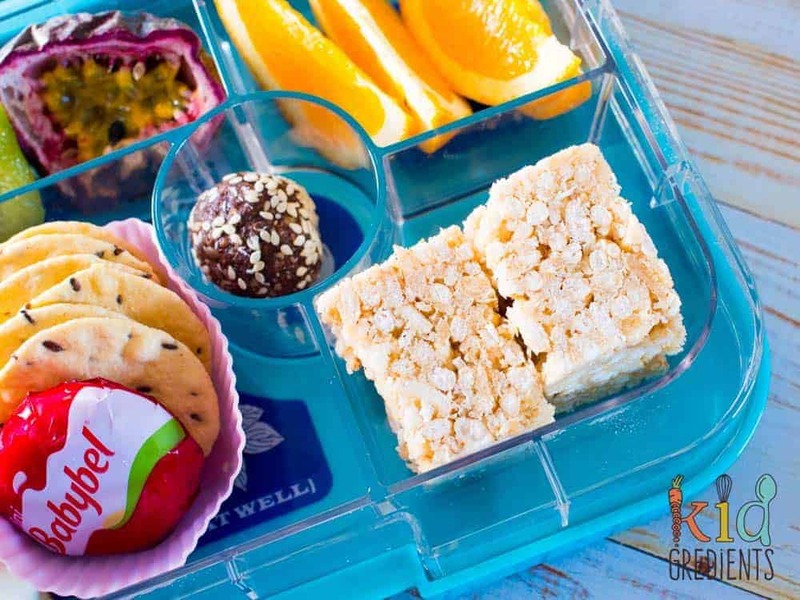 Storing them in the freezer means they will also stay cooler in the lunchbox. No bake quinoa puff bites- a healthy LCM alternative! 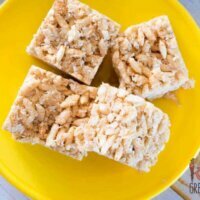 Not quite LCMs are the perfect replacement for storebought LCM bars, or rice crispie bars! Combine the dry ingredients in a large bowl and mix well. Add the wet to the dry ingredients, mixing well to stir and combine all the bits from the bottom of the bowl. Press into a lined 24cm square baking dish (I used a 22cm square silicone cake pan this time- no need to line!). Refrigerate for three hours or until set. Cut into the sizes you want. These are also freezer friendly! 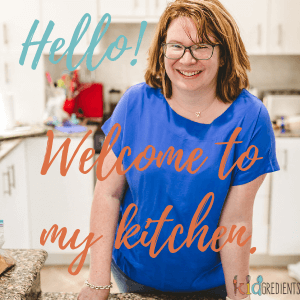 Hi – what can i use instead of quinoa flakes? Where would I source the rice malt syrup? I don’t know where you are based, but it’s also called brown rice syrup. It’s in the health food section of our supermarket, or sometimes with the sugar. Do you think you could cut down on the amount of rice malt syrup or honey just to avoid so much sugar? You can, but realistically, I think you’ll have trouble getting them to stick together. I cut them into tiny squares, so they get one at a time. These look amazing! Can’t believe they’re freezer friendly, too- definitely need to try! I love trying to make everything freezer friendly…it makes mornings more convenient for packing lunches! Hi, could you leave the quinoa and/or coconut out? You could, but you need to add to the bulk of the recipe then, so you’ll need to put something in their place. If I don’t have rice malt syrup, what could I use instead? Honey. Just sub the rice malt syrup for more honey. How long do these last in the fridge? Can they be frozen? They keep for around 4 days in the fridge, and yes they can be frozen!